Help me, I've fallen and I can't get up — because I'm being crushed by all of the feels of watching Beyoncé's 2014 VMAs performance. Okay, in all seriousness, Beyoncé's performance of her entire self-titled, new album was incredible, even if it was a little less mind-blowing than I thought it would be. (Seriously MTV, you went too far with the "once in a lifetime" crap — you shouldn't hype up Bey like that.) But, the good news is that Beyoncé and Jay Z are probably still together and that Blue Ivy is a better dancer than Taylor Swift. The bad news, most of the Internet is dead because Beyoncé. Okay, the Internet is not really dead, but everyone is figuratively dead because Beyoncé is possibly a goddess, sent to walk among us and rock our worlds by, as she said at the start of her performance, letting us into hers. 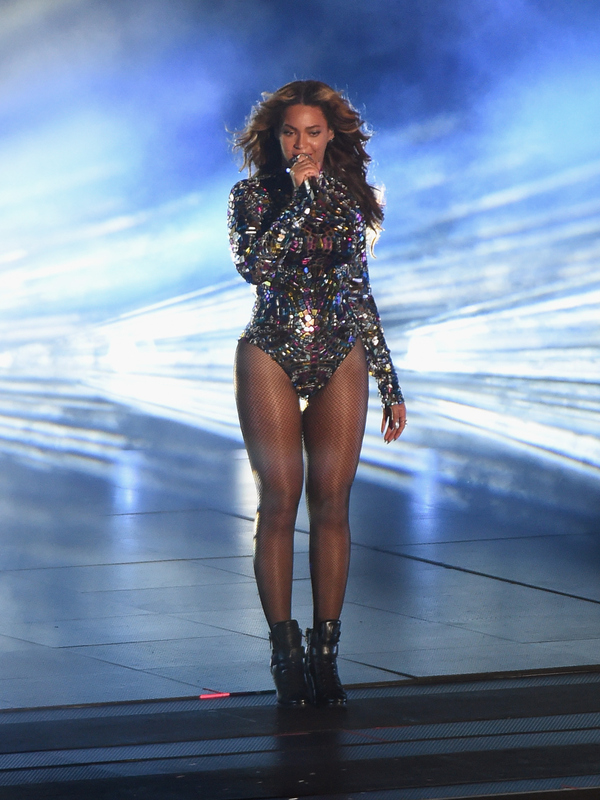 And really, who could complain about being killed by Beyoncé's performance? Not me. (I could've done without those glittery butts though — that was a little much.) Even some incredibly sentient felines knew that it was time to be killed in the best possible way by the obvious Queen of Everything — Beyoncé.